Theatre enthusiasts can enjoy an informing and entertaining backstage tour experience, with a wonderful storyteller taking them to explore the unseen areas of the Royal and Derngate auditoria. The next Behind the Curtain tours are scheduled for Monday 4, Tuesday 5, Wednesday 6 and Friday 8 March. Visitors will be taken back in time, starting from the opening night in 1884. 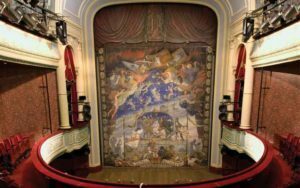 Exploring this colourful history, they will hear the real life stories of people who created, performed in or were audience members at shows at the theatre throughout the decades, discovering where Doctor Who was filmed and where Errol Flynn learned his craft. There is also the chance to discover how Made in Northampton productions are created with a visit to Royal & Derngate’s workshop and paintshop. The theatre’s resident ghost may even make an appearance along the way! Behind the Curtain is an engaging theatrical tour suitable for groups, schools and individuals and lasts approximately 90 minutes. Customers are advised to wear flat shoes. 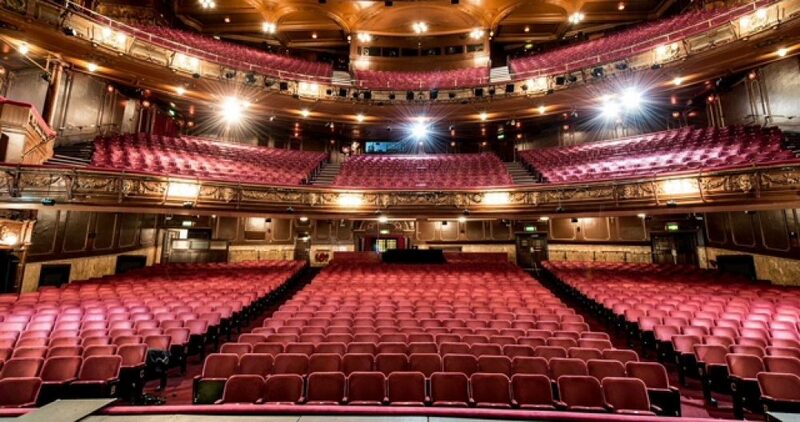 In addition, exclusive tours can be arranged for groups, and there is also a special version of the tour for primary schools, including an option to visit the Derngate auditorium control room and have a go at operating the lights. Unfortunately, the standard tour is not suitable for those with access requirements, but accessible tours suitable for those with access needs, hearing or visual impairment are available with prior booking. Please contact erica.martin@royalandderngate.co.uk for further information or to book a primary school, exclusive or accessible tour. Call Royal & Derngate Box Office on 01604 624811. Friday 8 March at 2pm and 4pm.